Hilton Head Beach and Tennis, a true 'Oceanfront' resort. Voted one of the 10 best resorts on Hilton Head Island by Forbes Magazine. 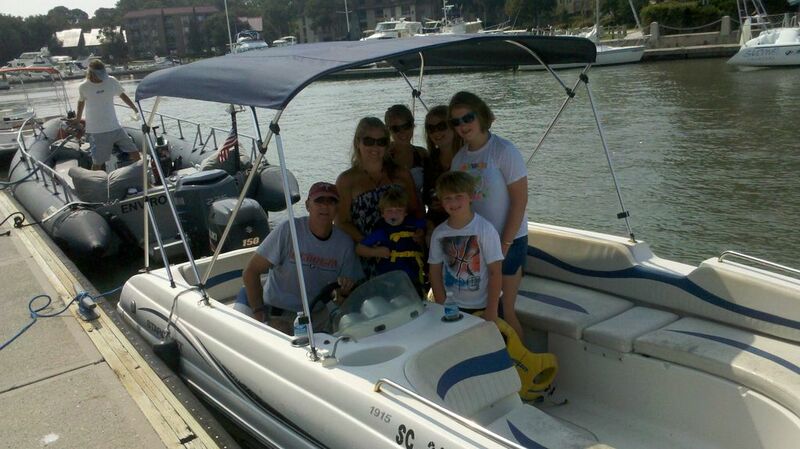 The resort is ocean front with daily on-site activities for everyone vacationing at Hilton Head Beach and Tennis. Beautiful Tennis Villa, a sunny end unit, with a lagoon view on the second floor of the Hilton Head Beach and Tennis Resort located on beautiful Hilton Head Island. Our Tennis Villa has 2 bedrooms and 2 baths and can sleep up to 6 people. Located only yards to the ocean. You can play free tennis on any one of the ten lighted tennis courts, fish in the lagoon, take a bike ride around the island, walk to the private beach or one of the two pools on the property. Enjoy cookouts in the picnic area or have a meal at the cabana restaurant located next to the beach front pool. Your children can enjoy the playground area. You can rent bikes and roller blades at the resort. Relax knowing that Hilton Head Beach and Tennis provides 24 hour security. You can eat at any one of the many restaurants located on Hilton Head Island. If your in the mood for shopping, visit Coligny Plaza or you can take a ferry to Savannah or a short drive to Charleston. Bluffton, just over the bridge, has an outlet center with some great name brands. Rentals for horseback riding or jet-skiing are provided on the island. And if you came to golf, there are 26 golf courses for your enjoyment. For your comfort and the comfort of others, all of our villas are non-smoking. Hilton Head Beach and Tennis Resort has a no pets policy. Book now for the best dates and rates.....don't miss out on a great vacation!!! Full supply of dishes, pots and pans,silverware. 2 bedrooom has--1 king size bed, 1 queen size sleeper sofa and 2 twin bed, 2 full baths, Linens and towels provided, as well as some toiletry items, Local phone calls, 2 cable tvs, electric grill, cooking utensils, beach chairs. Everything you need for a great vacation, Just bring your beach towels and have a great time! Great stay. Condo was very clean, but did need some updating. Could stand new mattresses. Otherwise it was great. This property has the best pool on the island. Condo is in a location convenient to all the islands food and attractions. A great family vacation spot! The condo was spacious, clean and comfortable. We enjoyed our time together with our family and friends. We really enjoyed the resort itself, but the condo we stayed in needs some major TLC as well as updates. Moldy shower curtains, poorly covered water damage, chunks of the ceiling texture in the master bath falling off, air vents have layers of dust, oven sets off smoke detector every time you open the oven door, bar sink doesn't work, balcony needs spiderwebs and dirt dauber nests removed, took 3 days for the ice maker to make 8 ice cubes, wall paper in hall bath is peeling up and so much more. The unit has a lot of potential, just hasn't had the ongoing maintenance to keep up with its age. We enjoyed having 3 beds so the kids didn't have to share. The king size bed was nice, but bring your own pillows. Having a tv in each bedroom as well as the family room kept the peace when we needed time out of the sun. The large beach umbrella came in handy for us, unit also has beach chairs although we didn't use those. Wonderful property! Loved the beach and pool! My family and I loved this property! It is located right beside the tennis courts and playground area of the resort. I could sit on the balcony and watch my children play! We have a large family (6 kids!) and the space was just right. Large master bed, guest bedroom that slept all four of my daughters and my sons were great on the pull-out couch. It was a little bit of a walk to the beach but not too bad. We were advised that we could drive over closer if we wanted but, we chose to walk. The pool was very large and had plenty of seating. We had a small problem with the mircrowave but let the owner know and maintenance was out in a snap! In our haste to get in and get settled, we left the keys in our car and ran down the battery. Security came out (free of charge) and started our vehicle for us. They were very kind and helpful. Loved the property. Loved the beach (sea turtle nests, starfish, and sand dollars, oh my!). We will hopefully visit again soon! The property was beautiful and very well maintained. The condo was perfect for our family. We had a wonderful vacation and will definitely be back! Thank you so much for loaning us your little piece heaven for a week!